People’s Friendship University, also known as RUDN University (former name); situated in southwestern Moscow. It came into existence on 5th February 1960 by the enforcement of the USSR Government. Later on, the RUDN University was named after Patrice Lumumba (one of the symbols of African peoples’ fight for independence). Again on 5th February 1992; it was renamed to “Peoples’ Friendship University of Russia” as declared by the Government of Russia. The RUDN University is among the best in the list of Top Medical Universities in Russia for pursuing MBBS. It is the most multi-disciplinary and multinational University of Russia. The University was recognized with the Order of Friendship of Peoples for its services in training specialists for Asia, Africa, and Latin America. RUDN relies on its mission of ‘uniting people of various cultures by the knowledge that the University creates leaders to make the world a better place’. Presently, RUDN is a modern University, which maintains long-standing relations with all the people or organizations attached to it and has set the new heights to reach for becoming a benchmark of the present and for the coming generations. Today, students from 155 nations study at RUDN University. They are considered to be the future mathematicians, physicists and chemists, agricultural workers and ecologists, medical workers, economists, linguists and diplomats of the coming world. 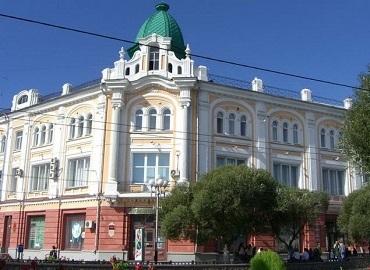 University has 20 academic blocks and 13 dormitories on the Mikluho-Maklaya Street named in the honour of Russian traveller and ethnographer. Total numbers of 6500 students are enrolled in the Institute of Medicine, 41 postgraduate programs, more than 160 practical bases are there in the University, 53 specialities in residency training. People’s Friendship University is categorized as the world without horizons, a world of ideas, a world of opportunities and one of the Top Medical Universities in Russia. Department of General Pathology and Pathological Physiology named after Frolov V.A. RUDN University has a total of 13 dormitories where it accommodates the enrolled students. More than 8000 students live in comfortable rooms or apartments provided by the University to them with every convenience such as good restrooms, well-equipped kitchen, internet connection etc. Laundry and ironing table is also available in every building. The security and safety are always ensured by the management as fire-protection & 24-hours of video monitoring systems through 2,000 video cameras encrypted in the territory. The most comfortable facility provided to the students is that all buildings on the campus are situated in close proximity to each other, which ascertains lesser commute time. The University provides excellent opportunities within the campus- stores & branch banks, barbershops, a dry-cleaner, parking lots and car service centre. After classes students can relax in different cafes and restaurants available, enjoy their authentic national cuisine- African, Arab, Indian, Russian, Chinese, Georgian. The great fountain located at the central square of the University is considered as a “heart of the campus”. The University has its International Cultural Centre (Interclub) that allows students to attend lessons on the pop and classical vocals, belly/modern/Latin dances, learn acting, learn traditions of different cultures or countries and even organize some events; in their free extra-curricular time. The Sports & Health Centre (FOK) exists on-campus to keep students healthy and fit. There is a skiing lodge, tennis court, gym, stadium with bleachers. Students can choose any sports from football, volleyball, basketball, tennis, martial arts, rugby, badminton, arm-wrestling and others. University’s Medical Centre has modern equipment and a full range of medical services of professionals in different spheres like primary care doctor, surgeon, otolaryngologist, oculist, obstetrician-gynecologist, dentist and other. Student’s health is something which is always taken care of and given the first preference. The program of RUDN University medical service provides an opportunity to all the international students to attend all the medical examinations, which are required to get admission to classes and to live in the dormitory. Moscow; the capital of the country, is considered as one of the beautiful and ecologically clean places of the country, situated on the Moskva River in western Russia. It is the most populous city in Russia. The city has a humid continental climate with long, cold winters usually lasting from mid-November through the end of March and warm summers thereafter. It has one of the largest economies in Europe and it covers approx. one-fifth GDP of Russia. The various sectors of the economy involve Machinery construction, Chemical & Petrochemical industry, Fuel & Energy metallurgical complex and Agricultural complexes. Primary industries in Moscow include chemical, metallurgy, food textile, furniture, energy production, software development and machinery industries. Moscow has five primary commercial airports, two passenger terminals (South River Terminal & North River Terminal or Rechnoy vokzal), ship routes & cruises along the Moskva & Oka Rivers; which are mostly used for entertainment purpose, nine rail terminals, metro system- famous for its art, murals, mosaics and ornate chandeliers, buses, electro buses, trolleybuses, cable car and extensive tram system. Moscow Central Circle is a 54-kilometre-long (34 mi) urban-metro railway orbital line that encircles historical Moscow also. Famous food chains of Moscow are Mari Vanna, White Rabbit, Turandot, Fusion Plaza and Indian chains like Khajuraho, Jai Hind, Darbars, etc. Popular recommended cuisines of the place are Borscht, Beef Stroganoff, Solyanka Soup, Blini, Potato Okroshka, Sushi, etc.